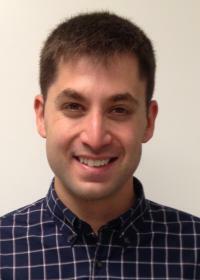 Justin Bohn, Sc.M., Sc.D., is an Epidemiologist in the Therapeutics and Infectious Disease Epidemiology group at the Department of Population Medicine at Harvard Medical School and Harvard Pilgrim Health Care Institute. Dr. Bohn received both his Sc.M. and Sc.D. in Epidemiology from Harvard T.H. Chan School of Public Health. As a Doctoral Research Trainee at Harvard, Dr. Bohn’s work focused on summary-score based methods for confounding control in studies of newly marketed drugs, with specific applications to distributed database studies. Previous research topics also included patterns in spontaneous adverse event reporting for brand name and generic drugs. Prior to joining the Department of Population Medicine, Dr. Bohn served as Adjunct Professor of Pharmaceutical Economics and Policy at Massachusetts College of Pharmacy and Health Sciences, and as ORISE Fellow at the U.S. Food and Drug Administration.